Only 2 more days until Hallowe'en! The excitement in your house is probably at a fever pitch as children anticipate the candy haul awaiting them this Friday. However, your strongest emotion may be anxiety. Hallowe'en is a time to let imaginations run free, but keeping an eye on potential safety concerns can save you a world of trouble. A fun, worry-free night requires an awareness of the 3 C's. Before going out trick or treating, take the time to enjoy a light meal or snack. This will ensure that your child feels satiated and won’t be tempted to snack on the go as his bag fills up with candy. You need a chance to inspect the contents of goody-bags. Closely examine the treats in the bag by looking for choking hazards, signs of tampering (tiny pinholes, tears in wrappers, etc. ), unusual appearance or discoloration, or homemade treats. It is a lovely gesture that your neighbour took the time to bake her famous “spooky brownies,” but children should only consume factory-wrapped treats. Once they have the go ahead, you should still limit the amount of treats your children consume in a day. 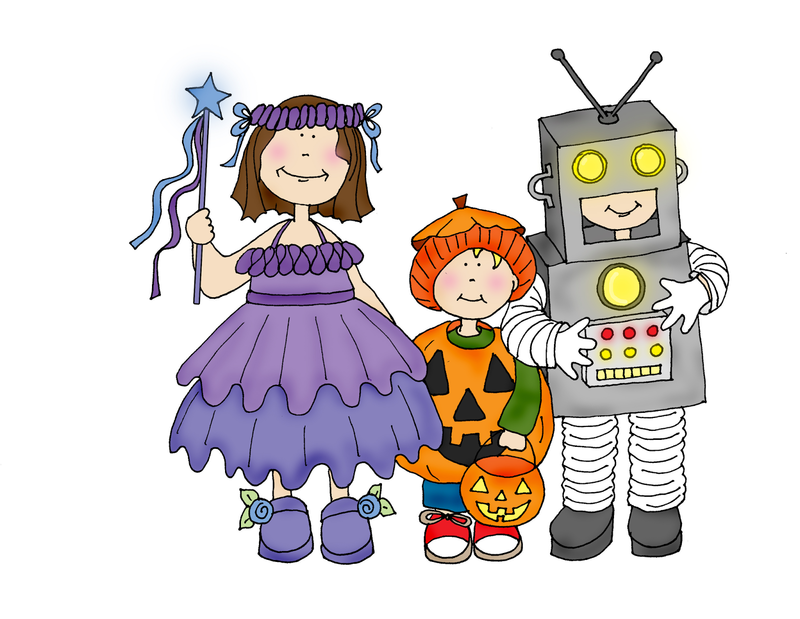 Always think of your child’s safety when purchasing, or making, a Hallowe’en costume. Choose light coloured fabrics (for visibility) that are not too long (to avoid tripping). If a costume needs swords, knives, or similar accessories, make sure they are short, soft, and flexible. Opt out of masks in your child’s costume because they can impair vision. Instead, use make-up and adhesives that have been tested the night before, on a small area, to make sure no allergic reactions occur. Thoroughly wash off make-up before bed. And don’t forget: costumes should be flame resistant….think of all the Jack ‘o’ Lanterns just waiting to be kicked over! Safety during trick or treating is mostly a case of common sense. Stay visible by fastening reflective tape to costumes and bags to help drivers see you. Walk on sidewalks whenever possible obeying pedestrian road signs. Always walk from house to house (as tempting as it is to run!) If you cannot accompany your child, make sure they are with a group or another trusted adult and that they only visit well-lit houses on their trip. Hallowe'en is a really fun time for children and adults alike. It is a holiday that many look forward to, so the aim should be to make it memorable in a positive way. Following these safety tips will not take away from the excitement and joy of the night, but it will enhance the good feelings as everyone can breathe easily and focus on the festivities.